These girls were weighing 1100lbs on grass. Originated as a set of quality replacements out of South Dakota. 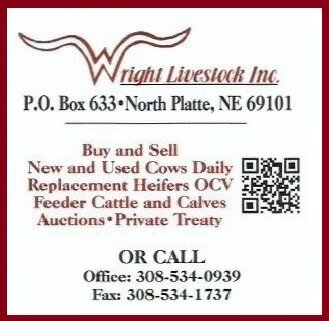 ​Bred to LBW Jorgenson bulls. Located in western Nebraska. These heifers are moderate framed weighing 1100lbs and were bred to good low birth weight Jorgenson bulls to start calving February 20th for 35 days. They are currently on grass and available now through November 1st. Four sets of heifers that boast a 2 week calving window, located in North Dakota. Well put together set of cattle from just a few select farms. Home raised from one Wyoming ranch, one brand! Gap 4 Certified Organic. ​Will start calving May 1st. Bred to Yardley, Red Ranches and Micheli bulls.